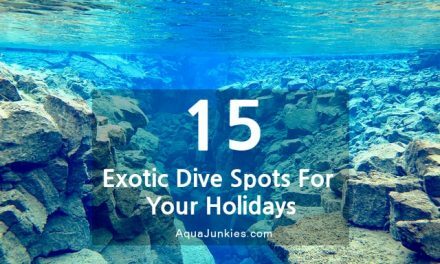 Can't wait to find out what is the top 10 best dive cameras for your coming dive trip? 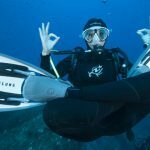 You want to know which is the best dive camera for you? Very often, when we view the underwater photos or video movies, we will be mesmerized by how crisp the details and colors are in the still or videos. There's an urge for us to get the same camera and pieces of equipment to achieve the similar results. Why not? 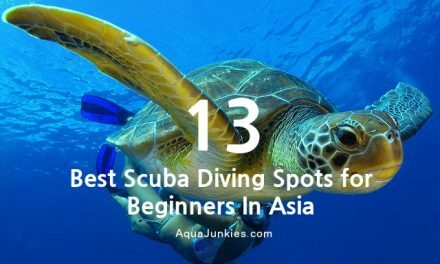 Since you are into diving, it is a good time to pick up underwater photography and video as a side hobby and shares it in your blog or Instagram and maybe you will gain thousands of followers and fame may comes knocking on your doors. And you don't really need to get the top of the line camera to start this hobby but you can slowly progress when you need better and more advanced features for your camera. 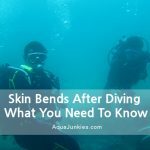 Aqua Junkies is able to help you choose your dive camera in a less stress manner where we do all the initial complex research (for you) and put them all into this dive camera buyer's guide. Look out's for our favourite dive cameras right below. You just need to see which dive camera you like that best match your current profile and level. It's that simple! Thank you for visiting Aqua Junkies. We've done our best to provide you with the most in-depth consumer guide with honest and accurate information relating to the best diving cameras currently on the market. A significant amount of time has been invested in providing you with this information, so we do hope you find it useful. Most Recommended (for Professional): If you are looking to advance to the next level of your underwater photography and haven't got the time to read our entire buyer's guide then I would suggest that you check out our editors' choice, Canon EOS 5D Mark III, a best-selling DSLR camera for the professional because of its full-frame CMOS Sensor, ISO 100 - 25600 Range and 22.3 MP resolutions that produces quality stills and full HD 1080 videos. Most Recommended (for Entry Level): If you are looking to start underwater photography as a hobby and haven't got the time to read our entire buyer's guide then I would suggest that you check out our editors' choice, Sony RX100 IV, a ridiculous amazing entry level camera for the new underwater photography hobbyists because of its 4K video recording with super slow-motion mode and 16 FPS continuous shooting that produces quality images and amazing videos without breaking your bank. 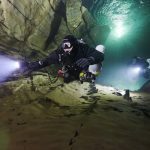 How To Take Care of Your Dive Camera To Make It Last? We are going to show you a list of cameras that we have shortlisted and give you some basic information on them. 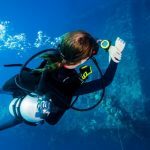 We have included some useful and important pointers on how to choose your best-fit dive camera as well. In additional, we are going to investigate further and share with you more details on the top 10 dive cameras and follow by our editors' favourites as a reference for your decision. Now, Let's go find you your best dive camera! Each month we update this section with the best recommendations within various price brackets and also include the best dive camera deals currently on the market, check out below for this month's recommendations! View the best underwater cameras under $4000 & above $3000! View the best diving cameras under $ï»¿ï»¿3ï»¿0ï»¿00 & above $ï»¿2ï»¿000! 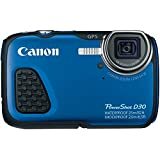 View the best underwater cameras under $ï»¿ï»¿2ï»¿0ï»¿00 & above $1000! 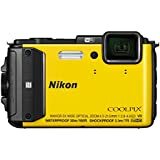 View the best underwater cameras under $ï»¿ï»¿10ï»¿00! 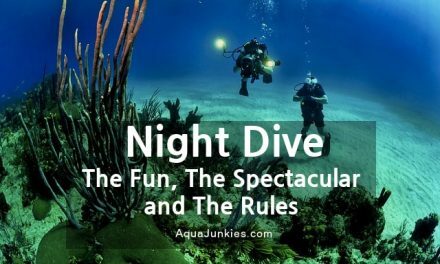 Every dive is an experience that is one of a lifetime and what is the best way to capture and records your very dive experience? At Aqua Junkies, we have committed over 100 cups of coffee to filter out the best dive cameras from the mediocre. The best dive camera that meets your needs and provides a lasting memory for you to share with your loved ones. 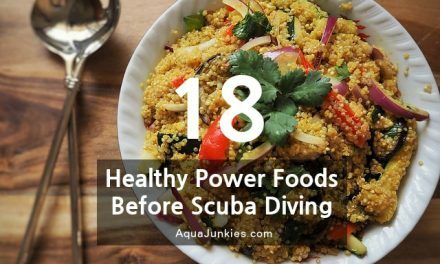 You need to know that underwater photography is not an expensive hobby but neither is it a cheap hobby. 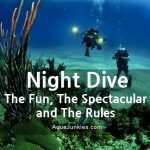 It is a good compliment if you are already into diving. 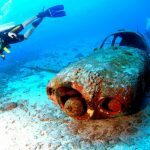 Some people get into diving simply because of the beauty of underwater photography. Camera body with underwater housing will set you back at least 1000 bucks. This excludes the strobes and accessories. You should adopt a budget strategy by planning smart. There's no need to get the most expensive camera that is beyond your budget and level of proficiency. Later, finding out that some of the accessories are more expensive than the camera itself. So set a budget limit and a list of equipment to get started first. There are three popular camera types in today's market. There are the compact series, the mirrorless series and the DSLR series. Compact cameras are point and shoot cameras. It is a good option but make sure that you choose an advanced model that comes with both auto and manual mode, just in case the auto mode doesn't work well underwater. You do need to take note that any significant shutter lag (time difference between the shot and shutter opens) will be a frustrating affair underwater. 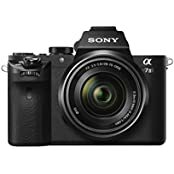 Mirrorless cameras offers both the versatility of interchangeable lenses like a DSLR and is slightly heavier than the weight, size of a compact camera but lighter than a DSLR and on the pocket. It is often the #1 mid-range cameras choice for underwater hobbyists, not just because of its features, but most importantly the high-quality stills and videos that come with it. Read on and you will see why is this so very soon. 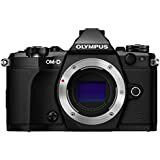 It is still the top choice among professional photographers even with mirrorless cameras disrupting the markets with its features and image quality that are close but still unmatched to a DSLR. DSLR has the widest range of lenses, incredible low light performance and offers advanced features that give the professionals' to create the characteristics of their photo. There are some cameras that specifically made for underwater photography. 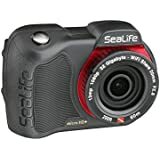 For example, Sealife Micro 2.0 which is one of our top ten dive camera qualifiers. 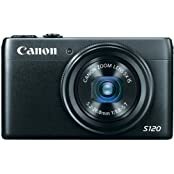 However, most would prefer versatility (using it underwater and also on land) as getting a camera especially a quality one to have dual usages make more sense for the pocket. Having said that, most go for the traditional camera and set a bigger budget for it and get a housing to accommodate the camera. 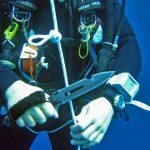 This could be one of your options as well and it makes a lot more sense, perhaps the best option divers can have best of both worlds. Different underwater housing or underwater cameras comes with a maximum depth limits that it can sustain underwater conditions. 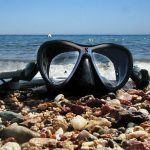 You will need to be aware of these specifications when you buy your underwater dive camera or dive housing online. Make sure, you stick to the limits to avoid damaging your camera. Before you decide on your best dive camera, you will need to find out if a dive or underwater housing is available for your selected models. We go one step further by covering that for you to make it easier and without you stressing about it. 1. Always check for leaks - in your camera's housing before each dive. Any leak will damage your camera for good and requires a new camera replacement. 2. Take care of the O-rings by detaching it from its groove with a blunt object. Clean both the O-ring and the groove with a soft cloth to remove any dirt. Check for damages or cracking, before applying silicone lubricant to the ring. Place it back into the groove and make sure it is lying flat. 3. Take a test photo before dipping into the water to ensure that your camera is functioning properly before descending underwater. 4. Let someone hands you your camera after you are in water to prevent any impact and likehood of an accident. 5. If there is water leaks, angle the housing so that water accumulates in just one corner and safely make it back to the surface and get your camera out. 1. Pass your camera over to someone on board. 2. Clean the housing with fresh water and ideally, warm water if available to remove the salt content and other particles. Dry it with a soft cloth and to prevent any scratching you can wrap it in a damp cloth. 3. Open the housing with care after drying the exterior. Check for particles insides the housing, especially the O-ring and remove them. 4. Follow the basic maintenance procedures such as avoid direct sunlight exposure, serviced your camera equipment annually if required, use your lens cap when the camera is not in used etc. 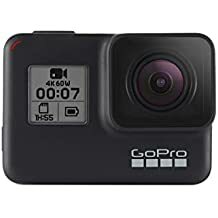 The GoPro Hero 7 Black is an awesome active sports camera that is not just for diving. It is a decent dive camera if you prefer a hands-free way of recording your diving video. This is a camera you should consider getting or buy as a backup for its versatility. It can be used for your hiking, skiing, biking, skydiving, only limited by your imagination. Basic Waterproof depth. You will need to get the Super Suit for waterproofing beyond 33ft to 196ft (60m). 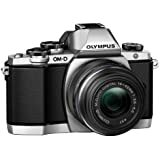 The Olympus OM-D E-M5 Mark II is a ground breaking updated version of OM-D E-M5 series. With the improved image stabilization and increased movie recording frame rates, you can be assured that your photos and video will be excellent and crispy clear (not affect by the underwater currents). It has a freezeproof design. However, you will need an underwater housing before you can bring this great value camera for a dive. The Sony Alpha A7II is known for its world's first 5-axis in-body image stabilization in a full-frame camera. With comfortable body to shoot with and offers features for quality photos and videos. You will need a dive housing before you can bring the Alpha camera for a dip underwater. 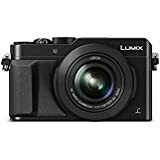 The Panasonic Lumix LX100 is superior handy and light to use. With its advanced imaging features, your videos and photos will not fall short of crispy details with minimum noise. This is a camera you could bring along with your dive as backup with this affordable dive housing. A dive housing is needed though it is relatively cheap. 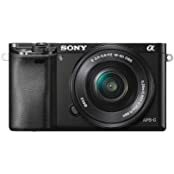 The Sony Alpha A6000 is a very portable and handy camera that allows video recording at 1920x1080 60 fps. It is designed with an articulating LCD screen, excellent for working from very low vantage points. This is camera needs a dive housing from MEIKON. 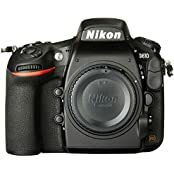 The Nikon D810 is a professional versatile camera that can be used for still or multimedia projects. The awesome video, audio effects and jaw-dropping image quality is going awe you and never look at another camera. D810 is an exceptional camera that fit your exceptional diving experience. It captures your precious diving memories to share or view later for pleasure recollection without missing a beat and trigger your diving adventure spirit yet again. All this made possible with Ikelite underwater housing. Annoyingly Expensive But It's an exceptional quality camera that is only for people who value its worth. 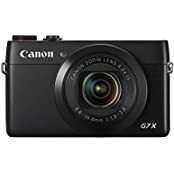 The Canon Powershot G7 X is a portable pocket size premium camera with large CMOS image sensor and fast lens. It offers a wealth of options for shooting both still and videos, with very good image quality, fast focus and easy handling. Canon Powershot G7 X has an anti-shake mechanism, which allows you to take sharp photos at slower shutter speeds than other digital cameras. You will need a good camera housing for G7x to bring it along to your next dive. 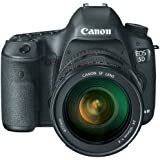 The Canon EOS Mark III 5D is a full-frame 22.3 MP DSLR camera with exceptional still image and video recording capabilities. This is often seen with Ikealite underwater housing for secure and waterproof recording of underwater activities. 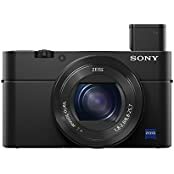 The Sony RX100 IV is a portable pocket camera with fast intelligent autofocus thanks to the new Exmor RS CMOS sensor and it's high ISO noise levels are much better than most pocket camera rivals. It is designed with SteadyShot stabilization for better still images. You can also get a 4K video recording with RX100 IV and have fun with its slow-mo video mode. You will need a dive housing to protect the camera before you take it for a dive. The SeaLife Micro 2.0 is small and ergonomic to be hand held underwater with three easy to operate navigation buttons. It is using Sony 16MP CMOS image sensor to produce quality stunning still images. HD Video recording is possible at Full 1080p. 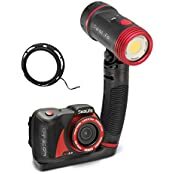 It has everything you need to capture your diving experience underwater which it is specifically built for and there is no need to buy an underwater housing for it. Built for Underwater Diving. Though, it can be used on land as but you will turn heads with the Lumen Light. 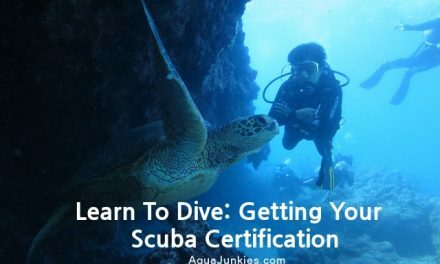 Arm yourself with the best dive camera that meets your budget, needs and experience with Aqua Junkies' dive cameras buyer's guide. It is time to start capturing your dive experience and memories to share with your friends, family and on social media. Inspire them to start diving as well. 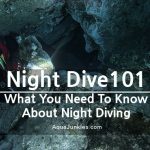 You don't want to miss out some night diving shoot with your new dive camera and it is essential to get appropriate camera dive lights for the job. Here our editors' choice for both the professionals and the newbie into underwater photography. 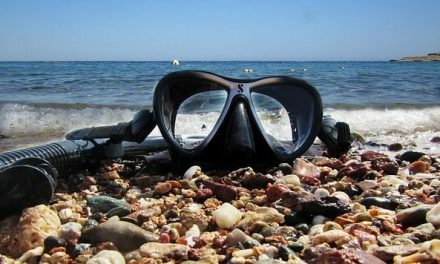 Encountering fogging in your camera's housing during your dive? It can be very frastructing when you need to surface and clear the fog, wasting precious time. 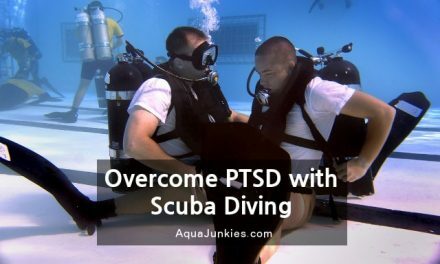 Here's Aqua Junkies tip to get you out of such situation. The desiccant is a substance that absorbs moisture from the air. You can find it online, camera stores or dive shops. Place a package into the housing with the camera before your dive. Make sure it is not obstructing the lens or any moving parts. This will help to prevent damage and fogging.